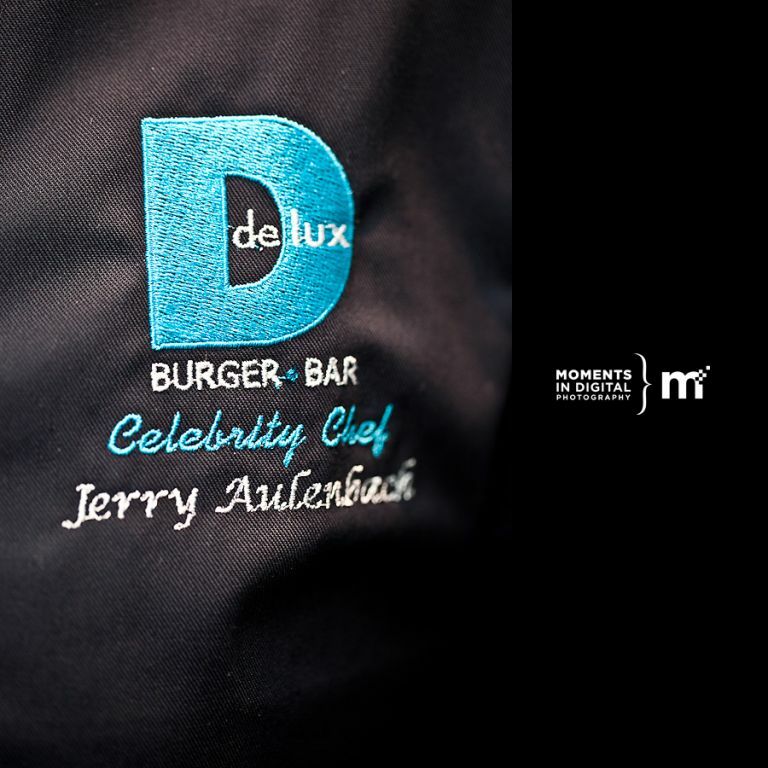 Well it’s November and that means it’s time for another Delux Burger Celebrity Chef. 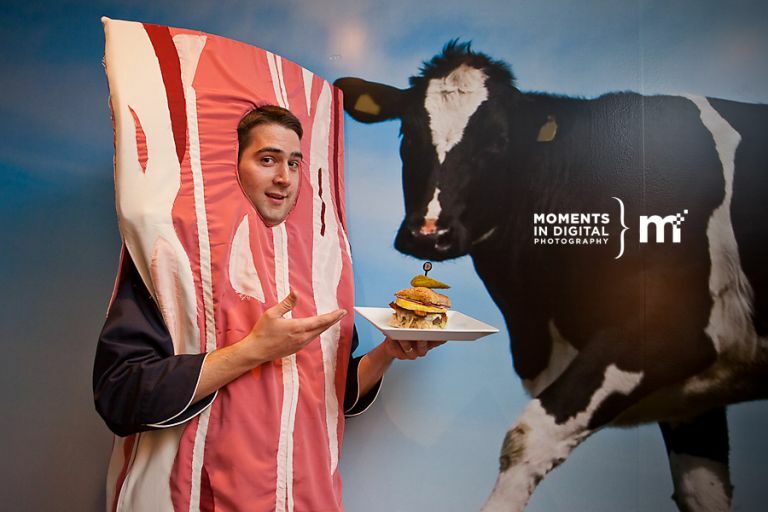 This month’s chef is known around town as that “Guy in the Bacon Suit” or by his popular online persona – ZoomJer. That man in the bacon costume is none other than Edmonton Realtor Jerry Aluenbach. Jerry is widely known in the social-media circles and is a frequent visitor to many of the Century Hospitality Group properties including Delux Burger Bar. Jerry is also a strong supporter and local organizer of fund raising events for the Royal LePage Shelter Foundation which is dedicated exclusively to funding women’s shelters and violence prevention programs. I’ve known Jerry for a couple of years now thanks to Twitter and he’s always been a great supporter of local charities and the community so it was great to see him selected as November’s Celebrity Chef. Being a fan of social media and bacon, Jerry’s burger is appropriately named ‘The Double Bacon Foursquare Burger’. 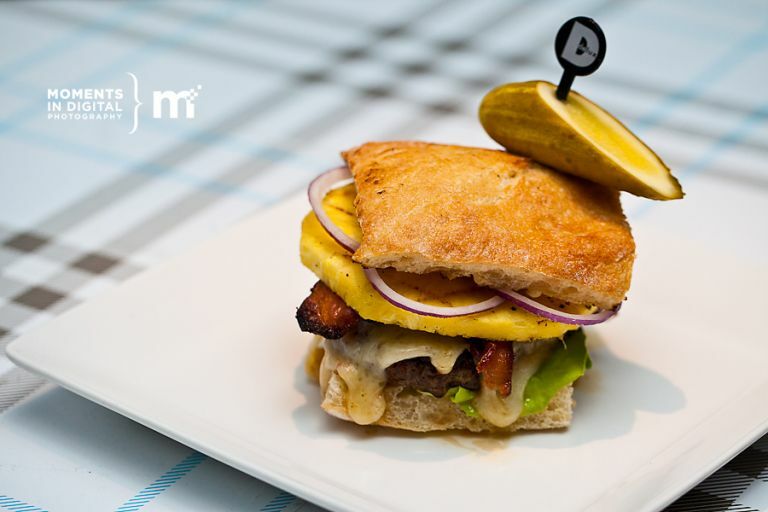 It features Diamond Willow 100% organic beef, a slice of sweet pineapple, Havarti jalapeno cheese, mayo, red onion, lettuce, and of course 2 strips of Irving’s Farm smoked bacon. To make it a truly social burger, if you check in at either location of Delux Burger on Foursquare and show it to your server, you’ll receive $1 off your burger. And if that isn’t enough incentive, for each of Jerry’s burgers that are sold during the month of November, Jerry is going to personally donate $1 to the Royal LePage Shelter Society. How can you go wrong? You get a tasty burger and a worthwhile charity gets some help raising money this year. Be sure to join Jerry on November 5th at 7:00 at the Delux Burger in West Edmonton Mall for his launch party to kick-off his burger and the month of NovemJer (I actually just made that up myself). Who know, perhaps the famous bacon suit may even make an appearance! 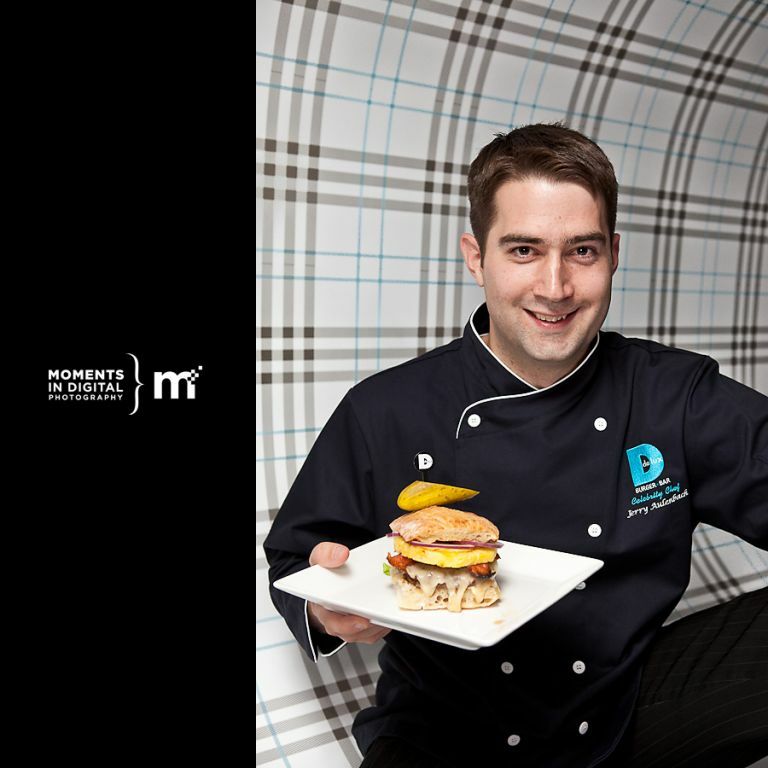 Here are a few photographs from our photo shoot at Delux Burger in West Edmonton Mall.